This bright and colorful hoodie with long sleeves and outside pockets is created for One Piece fans. Suitable for every day wearing or for training. Excellent quality and modern design of this hoodie will delight you! The hoodie is new, bright, and smells well. Delighted! 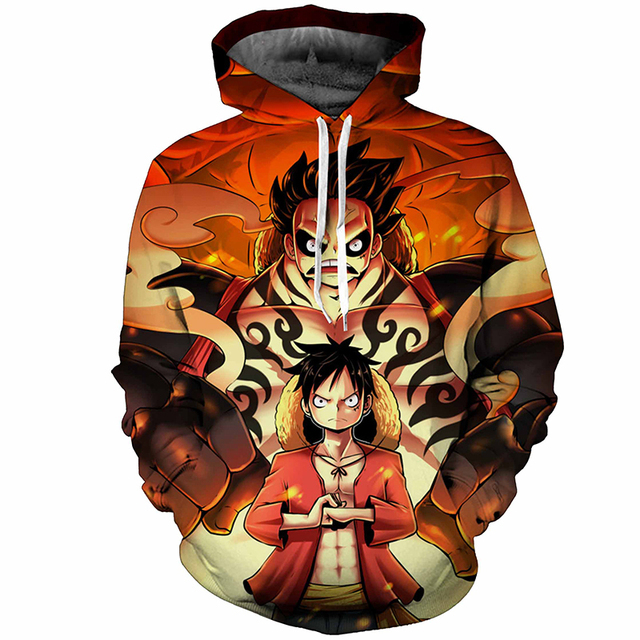 Cool hoodie, just the same as on the picture! Colors are very bright! looks good with jeans. A little too small, I was thinking of taking a free hoodie, but it turned out to be tight, but the quality suits me. Very good quality. Does not crinkle, and the color remains bright after washing. Looks awesome! I want to wear it everyday! I like both the quality of the hoodie and the web store. Accurate delivery, just in time, good packaging, quality of the product is also satisfied. Great store, recommend it to everyone! love it, very good thing! I'm from Canada: The usual 3D printed hoodie material, thin and stretchy, which is what I go for. 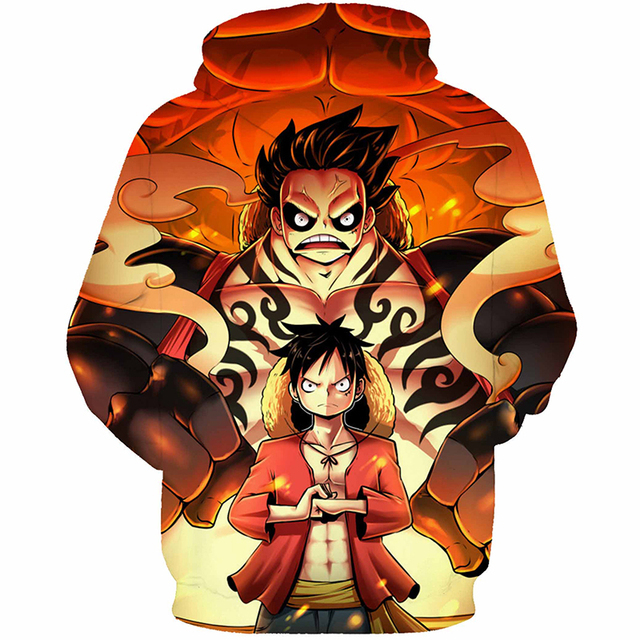 Right size ordered for my son....he loved it when he got it. Great print. Exactly as it looked on the site! Great job!